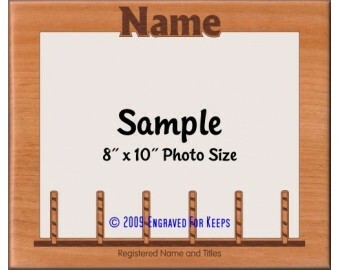 Six weave poles are engraved and cut along the bottom of the frame. 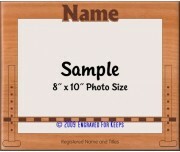 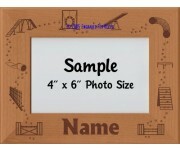 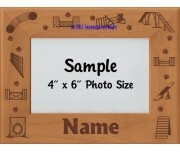 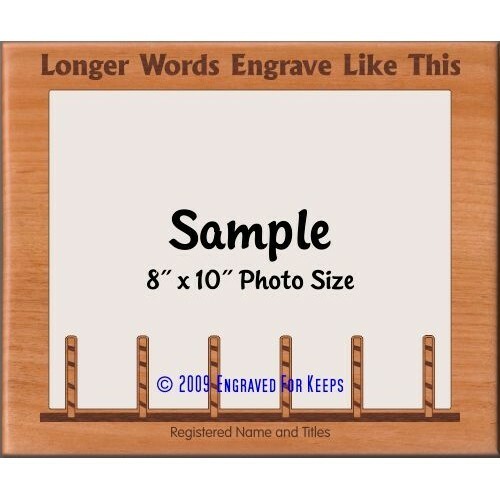 Space is available below the weave poles for engraving the registered name and titles at no extra charge. 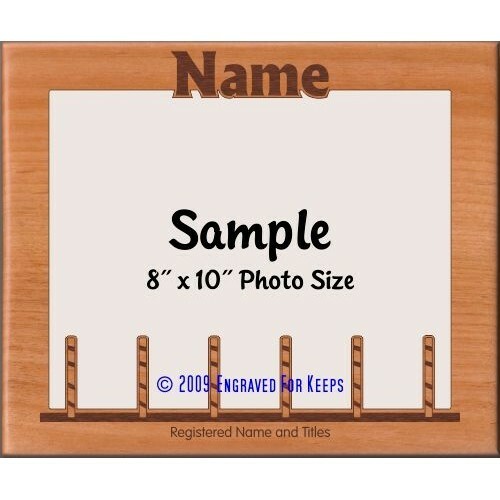 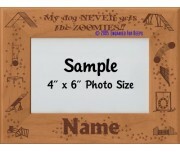 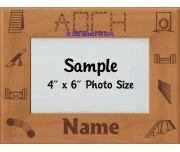 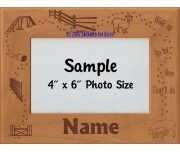 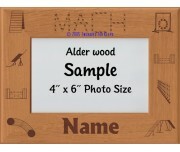 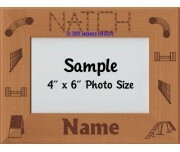 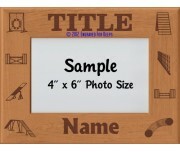 These make great award frames to showcase titles earned at the top of the frame such as MACH, PACH, PAX, NATCH, CATCH, TACH with the dog's registered name at the bottom!